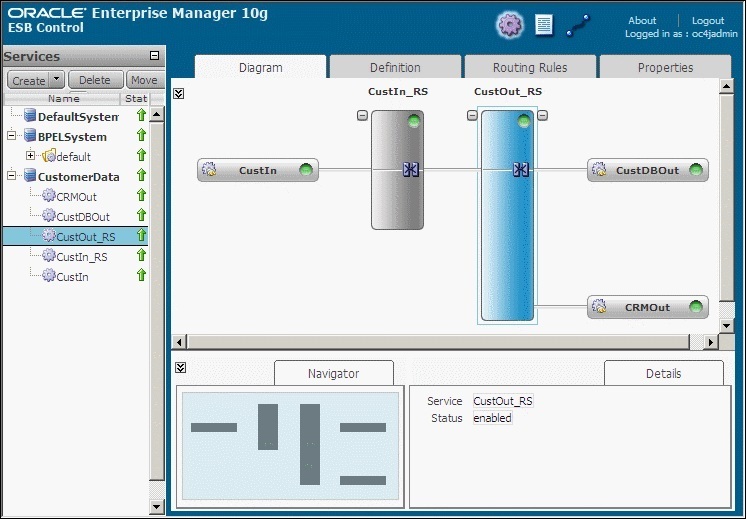 This part tells how to use the Oracle Service Bus plug-ins for Eclipse to configure services and other service bus resources. These are design-time activities that, except where noted, do not require a running Oracle WebLogic Server instance. 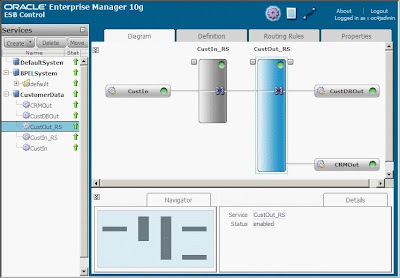 The Web-based Oracle Service Bus Administration Console, also provided with Oracle Service Bus, provides the same design tools as the Oracle Service Bus plug-ins, and it also provides run-time activities such as monitoring. You need a running Oracle WebLogic Server instance to use the Oracle Service Bus Administration Console.